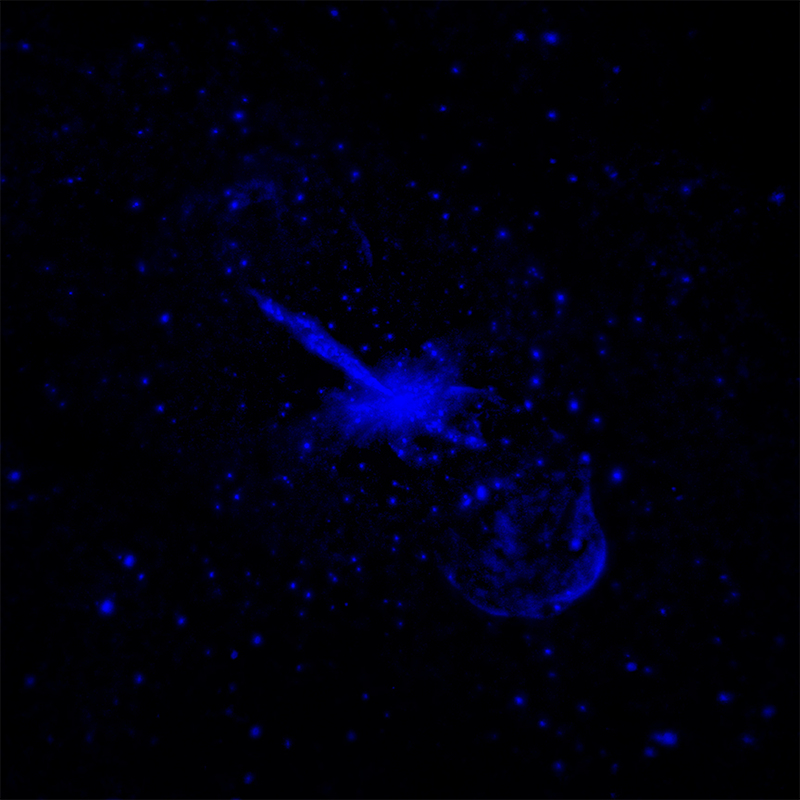 Centaurus A is a galaxy well known for a gargantuan jet blasting away from a central supermassive black hole, which is seen in this Chandra image. 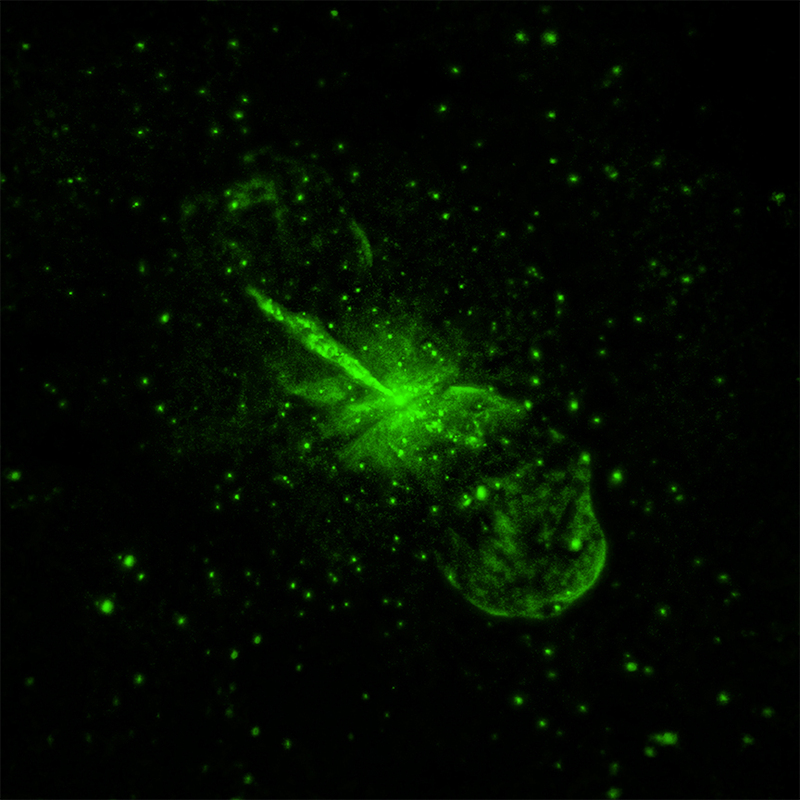 The data are combined from observations equivalent to over nine and a half days worth of observing time taken between 1999 and 2012. 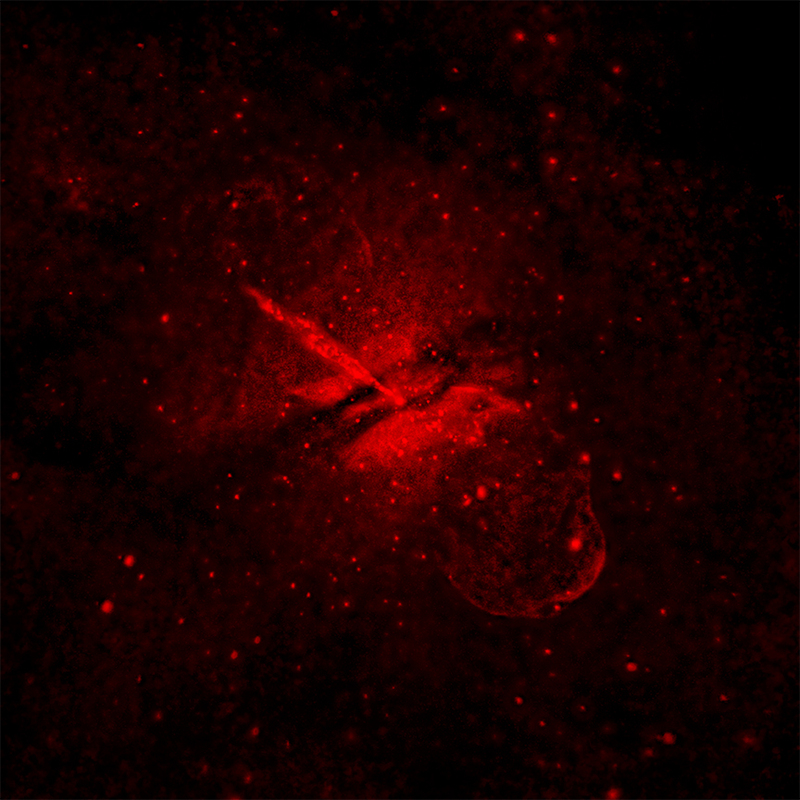 In these images, the lowest-energy X-rays Chandra detects are in red, while the medium-energy X-rays are green, and the highest-energy ones are blue.